Click the button below to add the Attipas - Robot Shoes - Navy to your wish list. 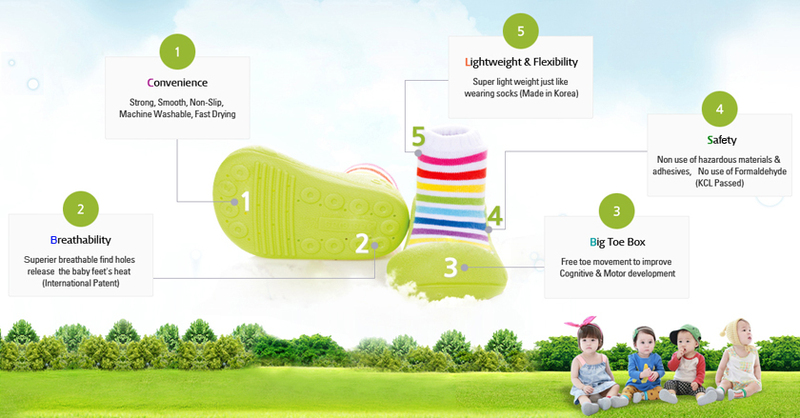 The cute Robot design with a navy sole feature two orange and one navy blue strip across the toe, a green band around the top of the grey sock. My son doesn't like wearing shoes, I spent money on shoes that he hasn't even worn. I love that the Attipas shoes fit so well, has more grip and lightweight. He's definitely walking better with these shoes compared to his other shoes. My little man would curl his toes and struggle with keeping shoes on. Since using these he has become more comfortable with shoes and no longer curls his toes. They are light weight as well. Totally recommend them!